There comes a time in your life when you have to take a stand. Not just have to, you feel driven to, compelled to. That's what's happened here. We here at Nuts on the Road are deeply, inconsolably upset that Coldplay has more Twitter followers than @stephenfry. We realized all that Stephen lacked was an album of his own. So we call upon you, the mighty and creative musical types out there on the Internet, to create fun songs inspired by the illustrious Mr. Fry. 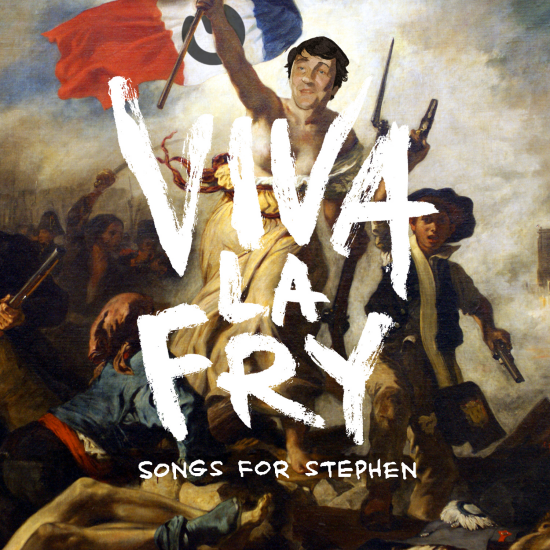 Viva La Fry: Songs For Stephen. So musicians: join us by sending us your info via the form below and we will contact you back with details. And non-musicians: follow us at @nutsontheroad for updates. NEW! Buy a Viva La Fry t-shirt (art designed by Laugh Out Loud Cats meister Adam Koford!) and the proceeds go to Comic Relief!